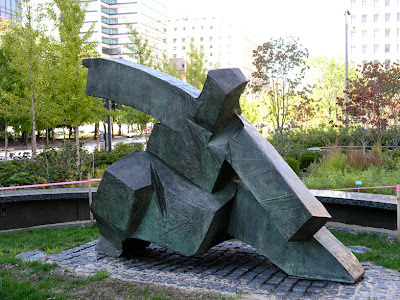 In Part 1 of this article I discussed the internal arts principle of "preservation of momentum" - ie. converting a fully extended or expanded position into something else. In that Part, I discussed how each of the internal arts has its own principle1 or preferred method of doing this. “Continuing momentum” is my name for taiji’s method. What is this? Essentially it involves beginning a retraction at the very moment you reach full extension and vice versa. That might sound easy enough. But if you simply “back pedal” after missing a committed haymaker, you will probably be simply reversing momentum - not continuing it. In that circumstance you might well find yourself smack in the middle of your opponent’s counter. If anything, your opponent is relying upon your back pedal (as a predictable, untrained response). 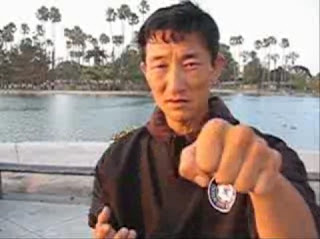 First, taiji techniques are carefully grooved so that you never over-commit2 (in the way a haymaker or a swinging roundhouse kick might miss its target, causing you to overbalance or have to do a full turn). 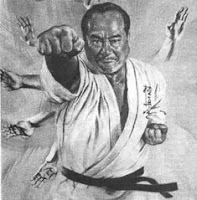 In this respect taiji is not really any different from any other traditional martial art: it stops its techniques at a pre-determined point. This is consistent generally with the conservative nature of traditional civilian defence arts. 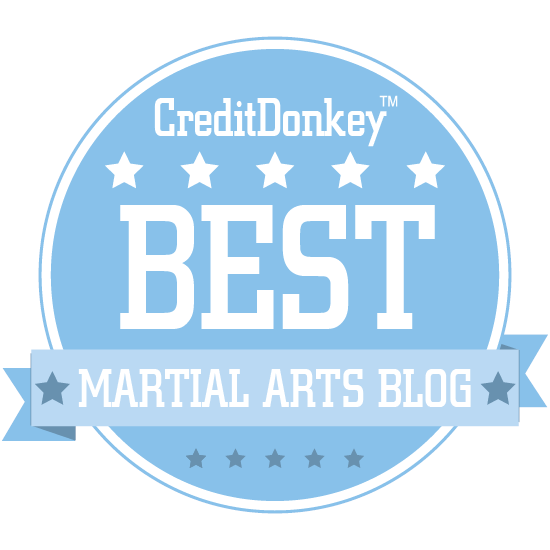 But while a committed reverse punch doesn’t cause you to be overbalanced like a missed haymaker or swinging roundhouse kick, it still leaves you at your maximum extension. How does taiji deal with this issue? It does so via the second element set out below. By practising the taiji form continuously over a period of time, your body eventually “grooves” an automatic response – a situational reflex – to begin that “rebound” the moment the full extension position is achieved. In this way there is no delay or hesitation for your opponent to exploit. Rather, your movement is as automatic and as fast as possible. Next, taiji is very, very careful in ensuring every available “back up” to support a safe retraction. This means the angle of the retraction from a particular position has been carefully chosen to facilitate an evasion in line with the unavoidable “late initiative” occasioned by the surprise of your strike not landing. Finally, the arms move into optimal positions to avoid the relevant/possible follow-up blows. Another way of looking at it is that the "retraction" isn't a mere "reversal of momentum" but is instead part of a "loop" - albeit a very subtle one: an action that appears linear but which is in fact subtly elliptical - so that your flow of flow of momentum is never interrupted (see the photographs of the "brush knee" sequence below). At the end of the "brush knee" extension, taiji has your body retract back from the committed palm strike by converting the forward moment into an elliptical curving parry (which simultaneously loads you up for another counter). It is important to note that at all times during a retraction and extension, taiji is careful to maximise the flow of momentum through the correct use of pivot points. Clearly where and when you pivot can have a different lever effect, either magnifying an extension or a withdrawal. maximizes the force applied to any technique coming out of the retraction/turn. As I discussed in my article "Push hands or "listening hands" - what it's all about", the internal arts, in particular taijiquan, place a lot of emphasis on sensitivity training. This is generally done through the medium of "push hands" (or "listening hands" as my teacher likes to call it). The general principle is that you set up a rhythmic pattern of movement with a partner, cycling through particular movements that are themselves the basis of effective techniques. In taiji such movements often comprise peng, lu, ji and an (ward off, roll back, press and push). You set up a rhythm, then one side abruptly and without warning breaks it so to apply a technique (starting with a push, pull, throw or other projection). The other side should try to sense the change in movement and respond appropriately. It is important to note that in order to achieve this sensitivity, one needs to be soft and relaxed. As I discussed in my article "Push hands or "listening hands" - what it's all about", the more relaxed you are, the more sensitive you are to your opponent's movement. 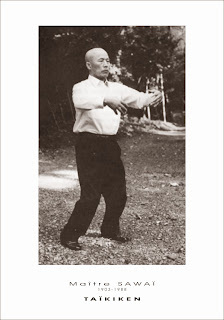 So we come to what is probably taijiquan's "defining element": relaxed, flowing movement. It might be said that this alone sets taiji apart from almost every other martial art.4 In fact, one could go so far as to say that you can forget the other elements - that this is the only one that really matters in taiji. Because, to some extent (as I noted above) the other elements depend on this last one in order to work (or at least, make enough of a difference!). What is "relaxed movement"? Essentially this means moving with as little resistance as possible. Now some resistance via antagonist muscles is not only inevitable - it is necessary! You need some resistance to work against in order to propel yourself into motion in the first place. 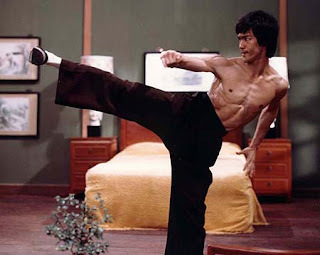 But having unnecessary muscles firing is like driving with brakes on.5 Clearly, this is inefficient and undesirable for any physical discipline, never mind martial arts where efficiency can make all the difference. Most of us could stand improvement in this regard. In fact, the "harder" we try to punch, the more we tend to "muscle" things inadvertently - firing muscles unrelated to the task. And taiji is supremely suited to teaching this. I've had many students come to taiji over the years from a practical or full contact environment purely because they wanted to learn to relax more in their movement. Yes, some styles (eg. Chen) have some explosive "fajin" in certain movements. But otherwise, taiji is overwhelmingly an art of slow, soft, relaxed movement. It can be practised hard and fast - for sure. It should be applied in a combat way, if you're looking at practical application. But in the main, you don't do the movements fast or "hard" until you've acquired the "softness" of perfect movement - movement that features as little of your own resistance as possible. I've dealt with "flowing" movement in many articles, in particular "The importance of flow", so I won't cover it again except to say that connectivity of techniques and the transition from "posture" to "posture" is really the key to understanding how taiji (as well as the other internal arts) use "relaxed movement" to "preserve momentum". Accordingly my discussion of "flow" brings me "full circle": back to the core issue of what I call taiji's "continuing momentum". The best way to describe taiji’s “continuing momentum” approach is not to talk about it in general terms but to examine a particular example, which is what I intend to right now in the form of one of taiji’s most common sequences, namely that which is known as “brush knee”. You will see from the above images that brush knee involves an initial retraction. That retraction takes you back into cat stance and it is evident that here you have reached the point of furthest retraction; you can’t retreat any further. In order to safeguard this extreme, the retraction is accompanied by a downward sweeping deflection. Your body then extends forward as your downward deflection sweeps around your knee (the "brush knee"), pushing you into a forward stance ("gong bu" - "zenkutsu dachi" in Japanese) which powers a palm heel thrust with your reverse arm. This continues until you reach your maximum extension. Then, as you complete that forward extension, your body retracts (almost as if you had rebounded off a trampoline) and your weight is draw back to your rear leg. At same time, your arm that was engaged in the palm heel thrust converts to parry any counter to the side in a circular movement that works in sympathy with the retracted bodyweight. Having exhausted the momentum shift backward, your bodyweight then extends forwards again in a way that wedges you sideways, slipping any attack with both the body and the downward deflection referred to in point 1 above - and the sequence is repeated. Taijiquan's effectiveness is based almost entirely upon efficiency: a flow of momentum that features as little resistance as possible. This is designed to enable the practitioner to transfer more of his or her momentum into the target as applied force - not lose momentum to extraneous or unproductive movement. 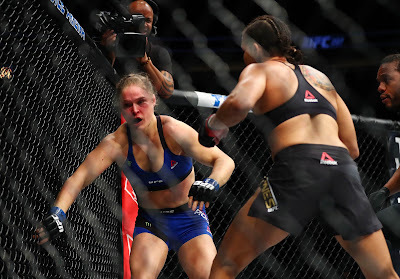 This is what enables a smaller, weaker person from being able to match a larger, stronger, heavier opponent: making the most of what you have - by throwing as much of your momentum into both your attack and defence as possible and by doing so in a way that is still conservative enough for the purposes of civilian defence. It is important to remember that each of the internal arts uses the mechanics of the others (to varying extents). My observation that a particular mechanics are “preferred” by one art is not intended to convey any sort of exclusivity. Rather it is just my attempt to classify the main identifying characteristics of each internal art. "Over commitment" does not mean "no commitment". Clearly there will be times where you are falling forward into a technique. It is what happens after you land your technique that determines whether you have "over committed" or not. If, after you finish your technique you are in a compromising situation, then you are "over committed." However if you are in a position to recover and deal with other threats, then you are not. It’s a bit like bouncing on a trampoline: at the highest point and lowest point your body briefly comes to a stop. When you are “stopped” you have to accelerate back to full speed in order to generate any momentum (and hence any force) behind a blow. And, from a defence perspective, you also become a “sitting duck” target; your opponent might already moving at speed, while you are stationary. This means you have to “find time” to accelerate out of the way. The difference, however, between a trampoline and reaching the end of your extension or retraction in a martial context is that with the trampoline you have an automatic impetus to reverse direction: At the top of your jump, gravity will pull you down. At the bottom, the elastic surface of the trampoline will start to propel you up. In the case of an extension or retraction (eg. a committed punch) there is no such “automatic” impetus. This is something the internal arts specifically seek to overcome with an appropriately grooved situational reflex – see under the heading “Taijiquan’s preferred approach: continuing momentum”. Taijiquan is one of the few martial arts where such a high premium is placed on relaxed movement. 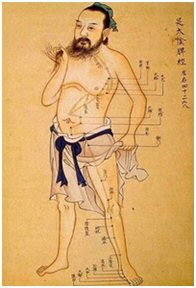 In every other system (with the exception of, say, liu he ba fa - see below) some element of "muscling" is at least tolerated, if not encouraged, from time to time. Not so with taiji. 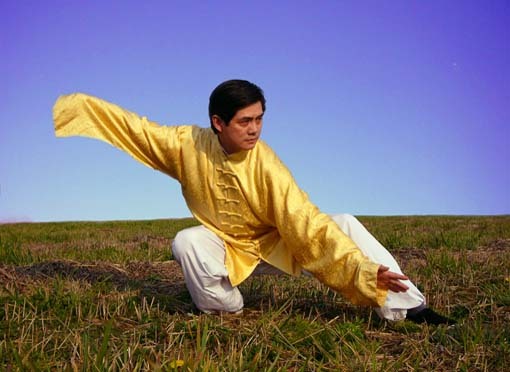 Again, it is important to note that the other internal arts of baguazhang and xingyiquan share the element of flow - it is just that taijiquan emphasizes it just a little more. I have previously written extensively about the "power" inherent in only firing the muscles that need to be fired. For example, note my article on "Chi/ki tests" (which rely very much on this principle), my article "A fistful of details" where I discussed (among other things) "tight fist, loose wrist" (ie. selective tensing of certain muscles to permit flexibility in the wrist, yet a solid striking surface in the fist) and, more generally, my articles on "Shaking, extraneous movement and inefficient technique" and "It's all about technique". 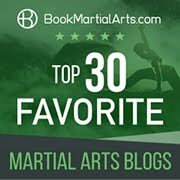 1)In this series, why did you start with Taijiquan and not Xingyiquan, which purportedly has simpler and easier to absorb concepts and fighting technique (not saying this is the case). It feels almost like you're going the 'reverse' order of how people tend to look at the IMAs. 2)Could you do a post on the Xingyi animals? I think it would be an amazing series, but that's obviously asking quite a bit. Thanks for reading and your question Followstep. Yes, I deliberately chose to start with taijiquan. 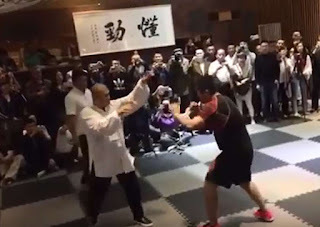 This is because I have lately come to the view that while xingyiquan is "simpler" in terms of total number of movements, it is in fact much, much harder to do properly. If you read my article "Advanced techniques" you'll see my reasoning. So my view is that the "traditional order" is misconceived! 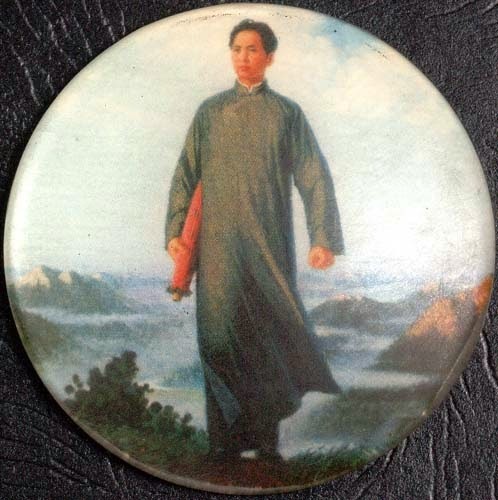 I actually teach in the reverse order: taijiquan, baguazhang and only then xingyiquan. I hope this explains my thinking!